The RCAF’s retirement of the Sea King prompted a tribute from none other than Sergei Sikorsky, the son of the inventor of the modern helicopter and Sea King designer Igor Sikorsky. The Sea King has been operated by plenty of military units in the past 60 years but Canada’s resourcefulness in maintaining its utility despite the retirement of its aircraft carriers inspired this note in Rotor and Wing. 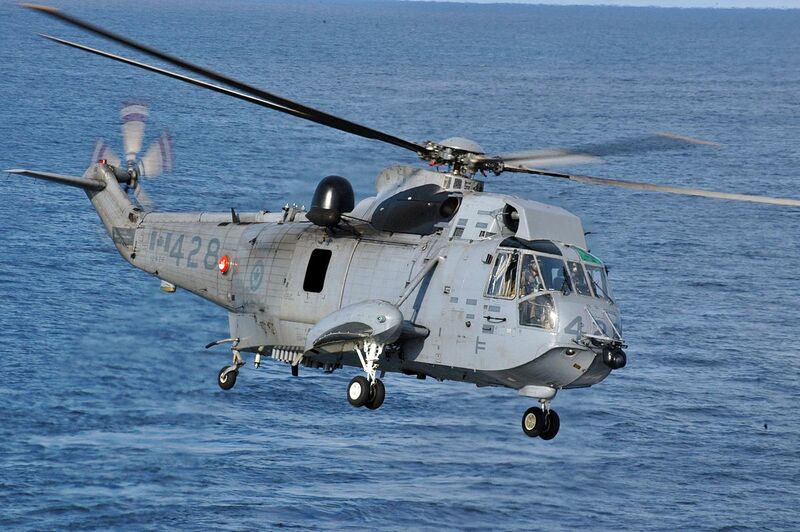 “The impressive operational legacy of Canada’s CH-124 Sea King fleet brings to mind one or two interesting ‘inspirations’ about the helicopter’s original design and subsequent operation. My father, Igor Sikorsky, strongly believed that Sikorsky Aircraft’s candidate — the S-61 maritime helicopter — would need amphibious characteristics. He proposed a boat hull geometry with side floats. A lot of Sikorsky engineers had worked with dad on his fixed wing flying boats of the 1930s and forties, so a boat type hull was not alien; it was new only to the helicopter. As Sikorsky chief engineer, his word was law. To test the flying boat hull design, he ordered built a scaled-down version of the S-61, designated S-62. At half the max gross weight of the S-61, the S-62 aircraft proved the utility of the boat hull design, which dad then incorporated into the U.S. Navy’s SH-3 Sea King. Unexpectedly, the U.S. Coast Guard saw in the S-62 test vessel the fulfillment of a medium range Flying Life Boat. The service ultimately acquired 99 HH-52A Seaguard aircraft, which saved more than 15,000 lives from 1963 to 1989. Deliveries of the 19,000-pound SH-3 aircraft for U.S. Navy ASW operations began in mid-1961 followed by the Royal Canadian Navy’s order for 41 CHSS-2 aircraft (later re-designated CH-124). This was the first large scale Canadian order for a Sikorsky helicopter. For both navies, the Sea King’s fuselage would allow water landings for rescues; and during flight emergencies, the aircraft could taxi to shore. In the mid-1960s, navies around the world looked on in admiration as RCN ships began ‘hauling down’ their Sea Kings into rolling, pitching flight decks. Today, Canada can be proud of the Beartrap concept. Last year’s successful tests of the 29,300 lb. (13.3 t) CH-148 Cyclone helicopter in sea state 6 conditions aboard Halifax-class ships further refines this much-replicated system. The Royal Canadian Air Force has made history operating their Sea Kings in fair weather and foul, by day and by night. Fifty-five years of service with the machine demonstrate the tremendous skill and determination of the men and women who flew and maintained them. Despite challenges, the Canadian maritime helicopter community kept the helicopter in service, and grew the machine’s mission versatility. Without a doubt, the RCAF’s new generation Cyclone maritime helicopter will create its own share of exploits and dramatic operational history.